College student Keiichi Morisato thought it was a prank when a strange, beautiful young woman appeared in his dorm room one night. But his unexpected visitor is literally a goddess from heaven, Belldandy, come to grant him any single wish of his choosing. 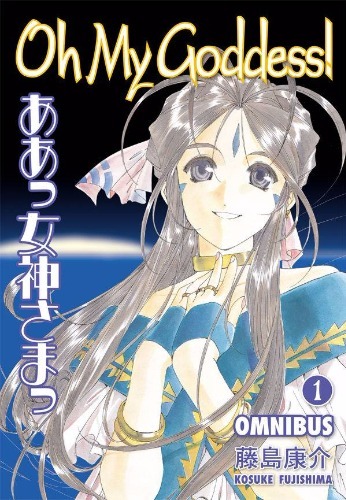 When Keiichi wishes for Belldandy to stay with him forever, it's the beginning of a complicated, cosmic saga of comedy and romance that makes for one of manga's greatest love stories! 6 in. x 9 in., 552 pages, black & white.